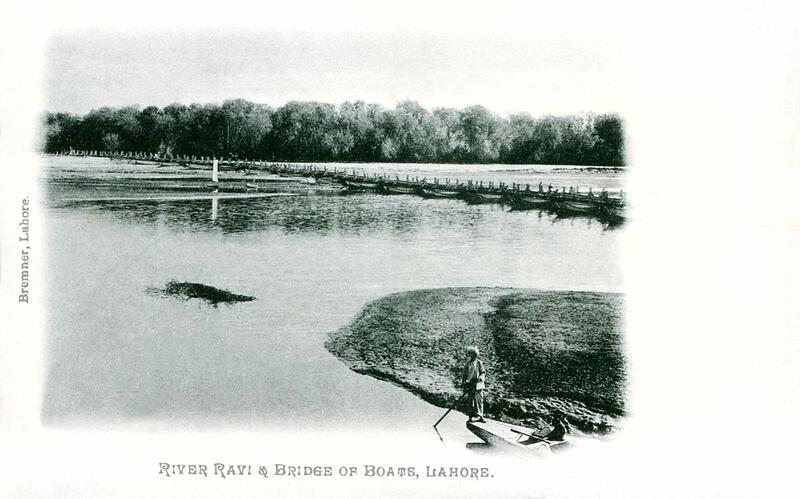 Boat bridges were common in the 19th century; not only the Ravi at Lahore, but the Hooghly in Kolkata, the Indus at Attock were all traversed by ancient boat bridges that rose or were washed away by floods, but could easily be managed and repaired. Replacing them with full bridges of course facilitated commerce, travel and troop movements and some of these, like the bridges at Attock or Sukkur were fortified. This is probably the earliest postcard of what was a Lahore landmark, by Fred Bremner, one of the city's first and foremost photographers and publishers just after 1900.